Home / Camera Buying Guide / Nikon Z6 vs Z7, what’s the difference? Have you decided to purchase a 24×36 mm Nikon hybrid camera? Whether you intend to complement or totally replace your existing reflex camera, and whether or not this is your first foray into the world of 24×36 mm cameras, a question inevitably arises: which camera should you choose, the Nikon Z6 (24 Mpx sensor) or the Z7 (45.7 Mpx sensor)? Apart from a few differences in their respective technical specifications, what is the real difference between these cameras? How do they differ in terms of handling and photographic ability? This article will provide you with some criteria for comparison and will hopefully aid you in choosing the camera best-suited to your particular needs. This is not the first time that the choice between two very similar cameras with two very different sensors has created a dilemma for many users. We’ve seen this kind of thing before. 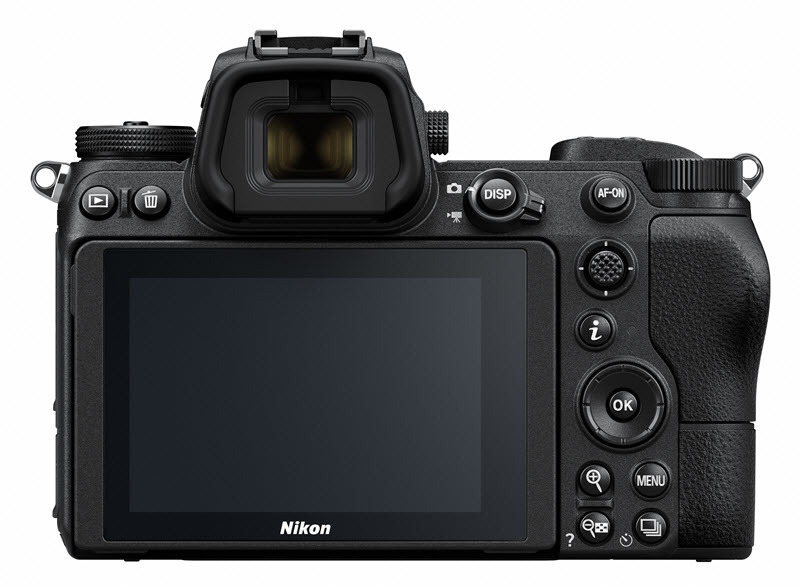 Within Nikon’s own product line, many people hesitate between the D750 (equipped with a 24 Mpx sensor) and the D850 (equipped with a 45.7 Mpx sensor). However, there is a fundamental difference between these cameras and the ones we will be taking a look at today. Apart from being reflex cameras and not hybrids, the D750 and the D850 were released two years apart from one another; therefore, they do not benefit from the same technological advancements. The D850, being more recent, is more technologically advanced – demonstrated by Nikon’s decision to position it higher in its product line. While these two reflex cameras are not directly comparable, this is not the case with the Z6 and Z7. In August 2018, Nikon simultaneously introduced its first two 24×36 mm hybrid cameras; this release marked the inauguration of its new Z-mount. The simultaneous release of two such similar cameras was a unique occurrence in the history of digital cameras; in fact, the new Z6 and Z7 are strictly identical in all respects, except for one: their respective sensors. The Z6 features a 24 Mpx 24×36 mm BSI CMOS sensor with 273 autofocus collimators, whereas the Z7 is equipped with a 24×36 mm BSI CMOS sensor. Because of its higher definition (45.7 Mpx), the Z7 is able to incorporate 493 autofocus collimators. In what follows, we will explain the impact of each of these camera’s sensors on its handling, compatibility with F-mount lenses, responsiveness, and video quality. In this article, we will be putting aside the question of price so as not to let it interfere with our technical discussion, especially since prices can be highly variable. Moreover, any price difference currently existing between the Z6 and the Z7 is likely to erode over time. Furthermore, the difference in price between these two cameras pales in comparison to the cost of purchasing lenses for Nikon’s new Z mount. The Z6 and the Z7 operate in basically the same way. This is not surprising since the chassis, button locations, and menus of both of these cameras are identical. They only really differ in terms of customization (more dependent on the photographer than on the camera itself). The difference between the Nikon Z6 and the Z7 is not immediately apparent, and, as we have just seen, the criteria we just mentioned cannot be used to distinguish between them. However, there is a significant difference between a 24 Mpx sensor and a 45.7 Mpx sensor. The first of these differences is file size. Whether you take photos exclusively in RAW/NEF format, exclusively in JPEG format or in a combination of both, photos taken by the Nikon Z7 will be considerably larger than those taken by the Nikon Z6. As a matter of fact, a photo in NEF file format captured by the Z7 will be almost twice as large as one captured by the Z6 (although JPEG photos vary in file size from photo to photo, the same file size ratio applies to JPEG photos taken by both of these cameras). In other words, to capture and store the same number of photos with a Z7, you will require twice as much storage capacity as with a Z6. This implies having twice as many memory cards or memory cards with twice as much storage capacity, as well as twice as much storage capacity on your computer, NAS device or cloud storage service. When it comes to hard disks, prices are quite variable. But as a general rule, they are much more affordable than memory cards. You can expect to pay around 65 euros for a 2 TB hard disk, 120 euros for a 4 TB disk, and a minimum of 240 euros for an 8 TB hard disk. While we’re on the subject of computers, it is worth mentioning that editing large image files imposes its own set of constraints that should not be overlooked, especially when it comes to advanced photo editing. Whether you are importing your photos onto your hard disk, editing them using your favorite software, exporting them or posting them online, working with photos taken with a Z7 will require more computing resources (processor, RAM, possibly graphics card depending on the software used). What’s more, put all together, these operations could end up taking from a few extra seconds to a few extra minutes. The good news is that since 2015, most processors are able to handle large files without much difficulty. 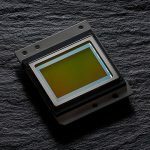 The bad news is that newer processors tend to cost more than their predecessors without necessarily bringing much to the table in terms of processing speed, at least insofar as photography is concerned – our field of interest in this article. If you find the need to update your computer, focus mainly on RAM and SSD disks; the price of both NVMe and SATA SSD disks dropped significantly in 2018. When it comes to posting your photos online, you will need to sort yourself out with your internet service provider. We highly recommend upgrading to a fiber optic internet connection. When shooting, is there a difference between the Z6 and the Z7? There is, but the difference is subtle. With its higher definition, the Z7’s sensor is somewhat more prone to heating up than the Z6’s; while this heat does not pose any real problem, it is more noticeable than on a reflex camera, which usually has far more room for heat dissipation. While higher-definition sensors consume slightly more power than sensors with a lower definition, the factor that has the greatest impact on battery autonomy is still a photographer’s personal shooting technique. By the way, although there has been tremendous progress in recent years, and although it may seem counter-intuitive, electronic viewfinders still consume slightly more power than displays. The Z6 and Z7 are Nikon’s first interchangeable lens cameras with mechanical sensor stabilization: a devilishly effective combination that is giving Nikon’s more experienced competitors a run for their money. However, just as its competitors did, Nikon is discovering that a camera’s definition can have a significant impact on the effectiveness of its stabilization. Generally speaking, higher-definition sensors are more discriminating and more susceptible to motion blurring; as a result, it will be more difficult to capture long exposures freehand with the Z7 than with the Z6. In reality, however, this difference is only really noticeable when viewing your images at 100% zoom on a computer display, and shouldn’t be noticeable on printed photos – unless you are making prints larger than 1 meter. We have spoken a lot about the downsides of the Z7’s 45.7 Mpx sensor, but it also has a clear advantage: a wider latitude when it comes to reframing a shot. While some purists (with a mindset dating back to the era of film cameras) might find this last statement scandalous, it is, nonetheless, true. The ability to make your photo wider or taller or to do minor or major cropping and still have enough pixels left over to make large prints is a considerable advantage. Ever since its inception in 1959, a large number of different F-mount lenses has been created. And the Nikon FTZ ring makes it possible to mount any F-mount lens on a Nikon Z hybrid – after all, “FTZ” stands for “F to Z”. On both the Z6 and the Z7, the mounting of an F-mount lens is done in the same way. However, given that F-mount lenses have undergone major technological changes in the last 60 years, not all of them will behave in the same way when mounted on a Nikon Z hybrid camera – it will depend in large part on the version of the mount. The following is a short overview of F-mount lenses in reverse chronological order. With Nikon AF-S, AF-I and AF-P lenses, autofocus, aperture opening, and exposure metering are controlled via the camera. Nikon AF and AF-D lenses, on the other hand, will lose their autofocusing abilities and will need to be focused manually; the same thing applies to control over their aperture opening: you will be required to use the lens’ native aperture or remember to manually change it before taking your shot (like in the old days). However, thanks to the Z6 and Z7’s onboard focusing assistants (electronic magnification and focus peaking – accessible via the electronic viewfinder), you will be able to precisely control focus and exposure more easily than on any of Nikon’s reflex cameras. 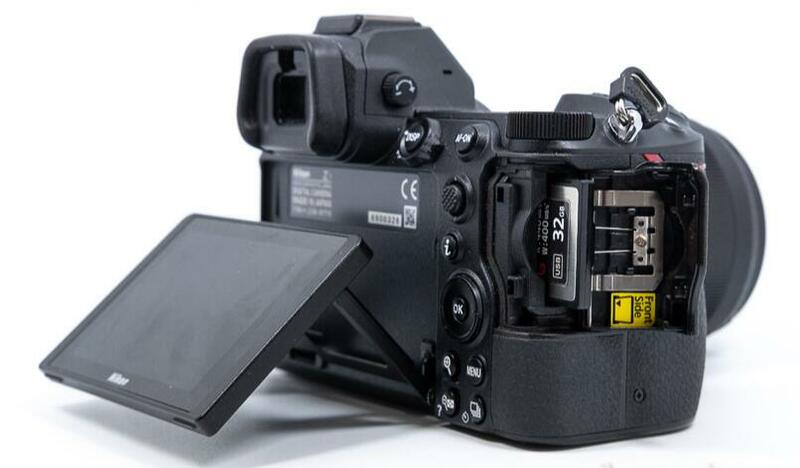 Good news: regardless of the type of lens used on a Nikon Z6 or Z7 (F-mount via an FTZ ring or another type of lens via another type of adapter), it will be able to take advantage of the sensor’s mechanical stabilization. 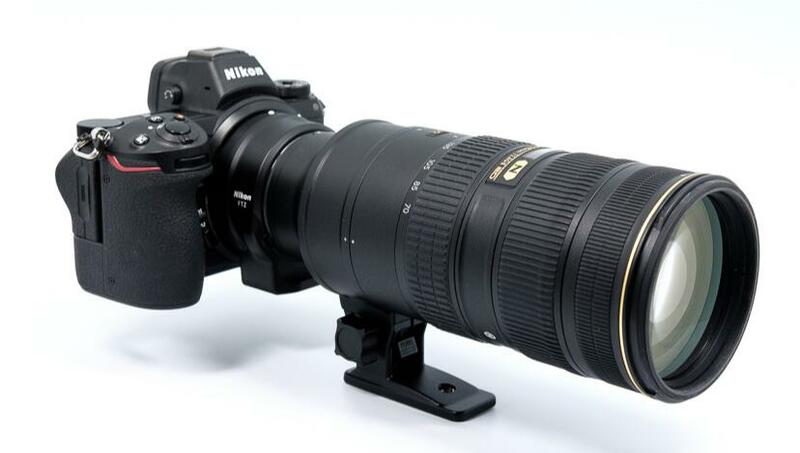 This represents a significant advantage, especially if you are thinking about bringing your Nikkor 600 mm f/5.6 ED-IF AI-S lens out of retirement (and why wouldn’t you?). Moreover, if you use a stabilized lens, its integrated stabilization will work in conjunction with the camera’s stabilization. All lenses released prior to 1998 (i.e. before the appearance of AF-S), as well as all AF-S FX lenses, will cover the 24×36 mm sensor of the Z6 and Z7 without any difficulty. For lenses released prior to 1998, this is only normal since they were designed at the time of film cameras when the only format available (at least for Nikon cameras) was 24×36 mm. But what about AF-S DX lenses designed for APS-C reflex cameras? Nikon Z hybrids, like Nikon FX reflex cameras, are able to apply automatic DX cropping to accept Nikkor AF-S APS-C DX lenses – good to know, since at the time of writing this article, there are currently no Z-mount APS-C lenses available, and such lenses are not included in Nikon’s current roadmap. When using DX cropping, the useful definition of the Nikon Z7’s sensor drops to 19.5 Mpx but that of the Nikon Z6 drops down to only 10.3 Mpx! If you have a need to crop and straighten your images during post-processing, this won’t leave you much to work with. You may (legitimately) be asking: “why in the world would you use DX lenses (APS-C) designed for reflex cameras on a hybrid with a 24×36 mm sensor?” There are several possible reasons. The first of which is that you may already own such APS-C lenses, which you may be using on a Nikon D5xxx/D7xxx/D500. You may plan to take advantage of the acquisition of a Nikon Z to gradually migrate your equipment to the 24×36 mm format. From a financial standpoint, it would also be interesting to use these lenses in a first instance, and then to gradually transition towards dedicated Nikkor Z lenses. By the way, with 19.5 Mpx DX cropping on a Nikon Z7, you get a lower definition than the native APS-C sensor of the D3500/D5600 (24.78 Mpx) and the D7500/D500 (21.51 Mpx) are able to provide; so, don’t worry about the performance of your APS-C SLR lenses on a Nikon 24×36 mm hybrid! 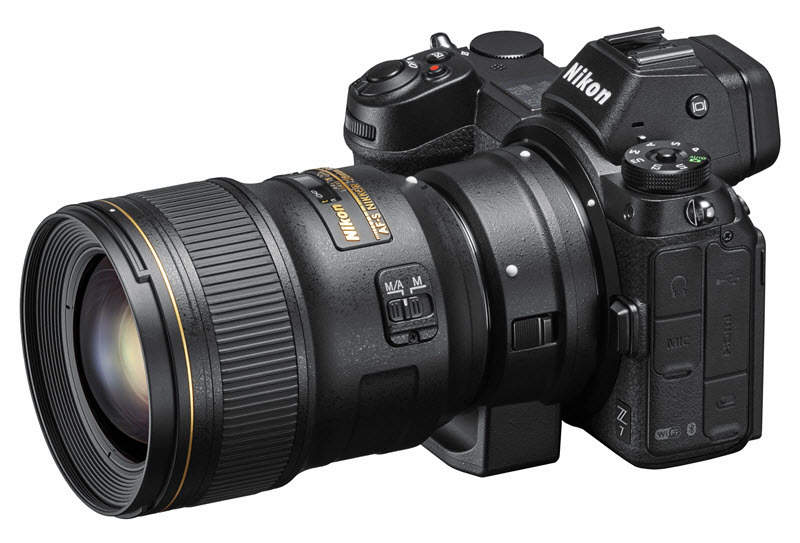 The second reason is that, for the time being at least, Nikon has not included a telephoto lens in its Nikkor Z lens product lineup (as of the date of publication of this article, April 2019). DX telephoto lenses are also less expensive and less cumbersome than FX telephoto lenses; their use would, therefore, make sense from a financial point of view. All the more so since cropping in APS-C on a 24×36 mm sensor is similar to using a 1.5 x teleconverter, but without the loss of brightness that this type of adapter usually entails. Both the Nikon Z6 and Z7’s sensors employ similar technology insofar as their imaging and autofocus systems are concerned: they both incorporate phase correlation and contrast detection – technology inherited from the Nikon 1 and Nikon DL, which were not commercially very successful. Due to its higher definition, the Z7 benefits from a higher number of AF collimators (493 versus the Z6’s 273). For both cameras, the coverage is 90% of the field vertically and 90% horizontally, or 81% of the entire image – much more than any of Nikon’s reflex cameras! 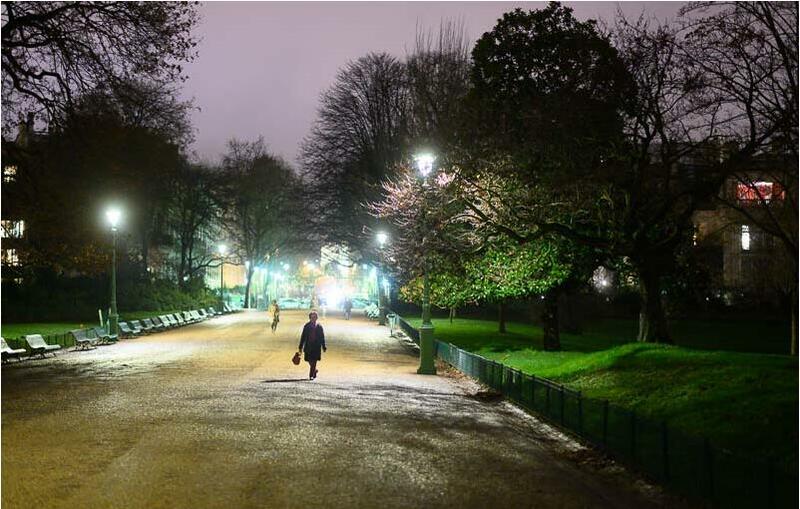 When using APS-C/DX lenses, this coverage increases to 100% of the image. 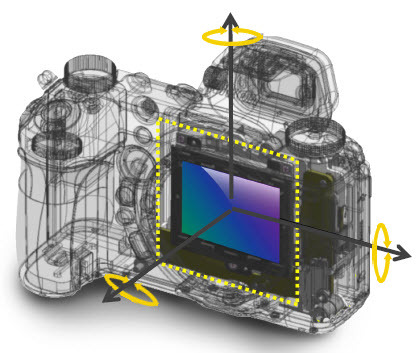 At the same time, thanks to its larger photosites (5.94 µm vs. 4.29 µm), the Nikon Z6’s AF module has a slightly larger operating range than the that of the Z7 (-2 to +19 EV for the Z6 versus -1 to +19 EV for the Z7). In practice, does this really change anything? According to our own tests and those performed by our colleagues… not really. This is both good and bad news. One advantage of the similarity between these two cameras is that Z6 owners won’t feel like they are loosing out to Z7 owners (and vice versa). Furthermore, if you happen to own both cameras, you will have no trouble switching between them. 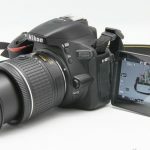 Another advantage is that they can benefit jointly from the various software updates that Nikon is sure to release over their lifetime – beginning with the May 2019 firmware update which should endow them both with the EyeAF mode, in order to be even faster and more accurate when focusing on a subject’s eyes. The downside of their close similarity is that both the Z6 and the Z7 share the same shortcomings. As such, they are both a little slow to start – something which anyone used to a reflex camera may find disconcerting in the beginning. 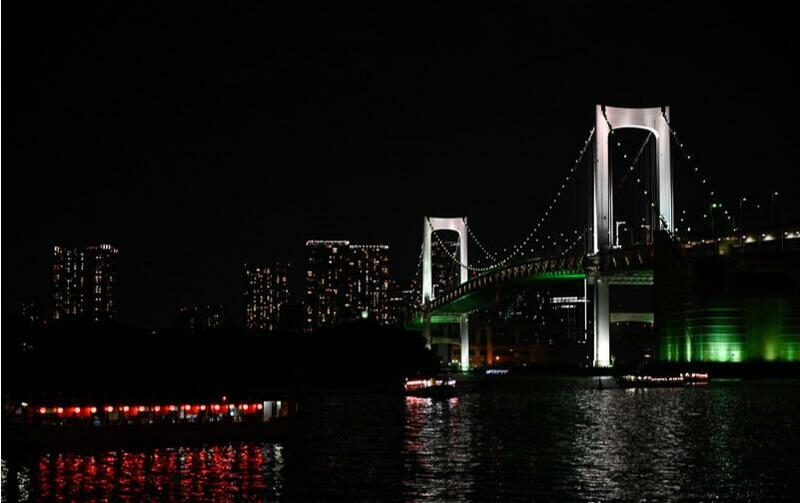 Similarly, while these two cameras generally operate flawlessly under good lighting conditions, it’s a different story altogether when it comes to night shots (or when shooting in an enclosed, poorly lit location). Under these conditions, the autofocus of both these cameras tends to “slip” – something that definitely needs improvement. It is worth mentioning, however, that both these cameras are equipped with a “Low Light AF” mode which extends their operating range to -4 IL; when activated, contrast detection is favored over phase correlation to gain speed – at the expense of accuracy. As far as speed and responsiveness are concerned, the main difference between the Z6 and the Z7 is their respective burst modes. This is only logical given the large difference in the size of the files generated by each of these cameras. The Z6 is capable of reaching 12 images per second (in 14-bit NEF), while the Z7, under the same conditions, can only reach 8 images per second – 25% less. That said, keep in mind that the burst rate of the Z7 is identical to that of the D850, which also has a 45.7 Mpx sensor, and is just one image/second below that of the Sony Alpha 7R III. Also, keep in mind that 9 of the Z7’s photos take up more memory than 12 of the Z6’s. Allocate your memory card space accordingly! If you are into sports photography, the answer will be yes. If you are attempting to photograph highly active children, the answer will also likely be yes. There are, of course, differences in rendering between a 24 Mpx CMOS BSI sensor and a 45.7 Mpx CMOS BSI sensor. In absolute terms, both of these cameras have equivalent sensitivity ranges (despite being offset from one another). The default range of the Z6 is from ISO 100 to 51200 (ISO 50 to ISO 204800 in extended mode). The Z7’s default range begins at ISO 64 and goes up to ISO 25600; it can also go down to ISO 32 and climb to ISO 102400 in extended mode. It is only at the extremes of their respective dynamic ranges that these two cameras differ. Since most of the time, a range of ISO 100 to ISO 10000 will be used, there shouldn’t really be any noticeable difference between the Z6 and the Z7. In comparison to equivalent reflex cameras, D750 for the Z6 and D850 for the Z7, the performance of these hybrids is slightly worse (as demonstrated by the lab tests performed on the Nikon Z6 and Nikon Z7 by DxOMark). This is normal insofar as hybrid cameras use part of their photosites to achieve autofocus: the sensor surface area lost comes at the expense of sensitivity and dynamic range. Paradoxically, despite its smaller photosites, the Z7 has (by a small margin) the best dynamic range of these two Nikon hybrid cameras – according to DxO. However, under real-life conditions, the difference between them is imperceptible. Where the Z7 clearly takes the lead is in terms of resolving power. Its 45.7 Mpx sensor allows it to better distinguish very fine details. At the same time, it is less sensitive to aliasing. As a result, it is particularly well-suited to applications requiring precision, such as fashion, portrait, landscape, and macro photography. A word of warning, however: smaller photosites also mean greater sensitivity to diffraction which occurs earlier on the Z7 (from f/11 versus from f/16 on the Z6) – meaning that in low-light conditions, the Z7’s image quality will degrade faster than that of the Z6. The Z6, with its 24 Mpx sensor, will, of course, also be quite at home in the previously mentioned applications; it may even be more versatile. The Z6 will also be more flexible and less demanding insofar as its 5-axis mechanical stabilization is concerned. When it comes to image rendering, the Z6, with its “large” photosites will provide more “velvety” results and allow for smoother background blurring (bokeh) effects. Its lower definition also makes it better-suited to using older lenses (Nikon or otherwise) because the flange focal distance of the Z mount – the shortest on the market – makes it perfect for mounting almost any kind of lens (so long as the required adapter ring is available). The optical defects of these old lenses, first and foremost chromatic aberrations, will also be less marked when using this type of mount. Finally, the colorimetric fidelity of these two cameras is essentially the same, and the fact that both are able to capture NEFs in 12 and 14 bits allows for a wide range of possibilities when it comes to post-processing adjustments. For a very long time, Nikon lagged far behind its competitors when it came to video recording. And despite the obvious efforts made with the D850, it has been struggling to catch up to the competition. When it started developing hybrid cameras, Nikon wanted to wipe the slate clean; it had the ambition of competing with Sony and Panasonic, which had a considerable lead in the field. This translated into the development of products with similar technical specifications and abilities to those of their competitors (at least on paper): 4K/UHD 30p video without cropping, Full HD up to 120p, 6K oversampling, 10 bits external N-Log recording via HDMI, headphone and microphone jacks, etc. Nikon also began employing better-quality audio preamplification than it had been accustomed to using in the past… even if it is still not at the same level as Panasonic or Sony in this regard. In a bid to make up for lost time, Nikon developed technologies specifically designed to compensate for “focus breathing”, a phenomenon that changes the framing of your shot when you change focal distance. While this is very commendable on their part, in the eyes of most users it will likely only be perceived as a form of technical nitpicking. 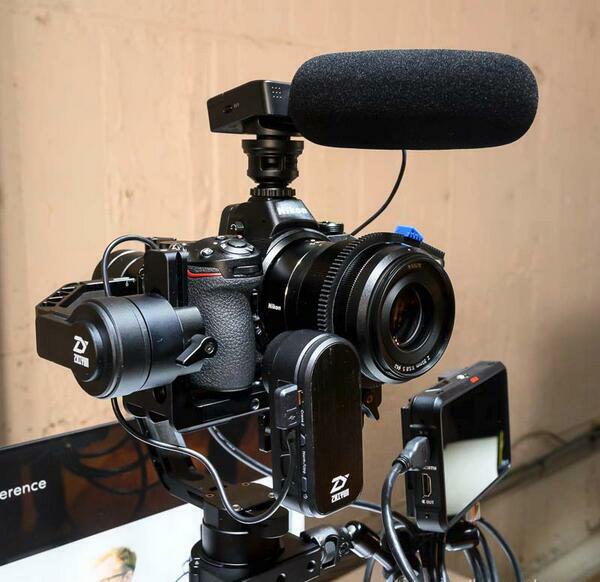 Although both cameras are very similar, we would strongly recommend the Z6 if you plan on recording video with any kind of frequency. As a matter of fact, when it comes to video recording, it is often preferable to opt, whenever possible, for a camera with a lower definition. This will improve the quality of the sampling, rendering, and stabilization, especially if you plan on shooting freehand. This difference will be particularly noticeable if you shoot in 4K/UHD where the best results will be obtained by using the Z6’s entire 24×36 mm sensor; the Z7 will force you to use APS-C/Super35 cropping in order to obtain the best results – this will prevent you from capturing very wide angle shots. In the case of 24×36 mm hybrids, which have a limited internal volume, sensor heating must also be taken into account. As it happens, the Z6’s 24 Mpx sensor is much easier to cool than the one used by the Z7, and will, therefore, produce fewer artifacts (such as “banding”) and allow for greater battery autonomy. However, the Z7 is able to capture time-lapse sequences in 8K in addition to 4K Time Lapses (a feature also available on the Z6). If you plan on using your Nikon Z for advanced video capture, we can not overemphasize the importance of acquiring an external microphone and possibly even an external recorder featuring its own display. Doing so will allow you to unlock the camera’s N-Log profile and to compensate for the fact that the Nikon Z’s pivoting display is hinged and does not provide great operational flexibility (it will prevent you from being able to film yourself, for example). We have come to the end of this article, and it has come time for us to attempt to answer to our opening question: should you opt for the Nikon Z6 or the Z7? As you might expect, due to the fact that both of these cameras are so similar, there is not one single correct answer. Except in terms of video recording (where the Z6 dominates), there is no one aspect that makes either of these models clearly preferable to the other. The Z6 is more versatile, slightly faster, and capable of reaching a higher level of sensitivity. The Z7 is almost as versatile, delivers more precise images, and concedes little to the Z6 in terms of burst rate. However, there is one other very materialistic consideration to take into account: purchasing a Z7 will cost you more… much more. At the moment of writing this article, the difference in price between the “barebones” version of these two cameras is 1200 euros (around 2200 euros for the Z6 versus 3400 euros for the Z7). Although this price gap is destined to erode over time, you will also need to factor in the cost of the extra peripheral devices that using the Z7 entails: extra XQD memory cards, extra storage capacity, possible upgrades to your computer, and extra batteries. These accessories range in price from a few dozen euros to several hundred and may end up weighing heavily on the balance sheet. Choosing the Z7 will require you to dimension your workstation accordingly, especially if you are accustomed to using a 24Mpx camera (Nikon or not), such as the D750, D7500 or D5600. Of course, if you already own a D810 or D850, you will already be aware of these issues and will have probably already made the necessary investments. Nikon Z6 vs Z7: which one to choose? 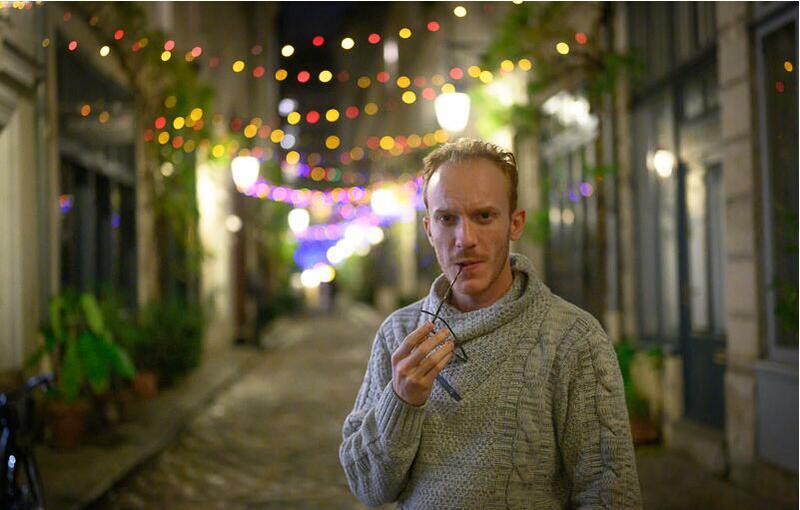 you are interested in using older-generation lenses. you already have a workstation in place capable of handling 45 Mpx files (or you are not put off by the investment required to set up such a workstation). 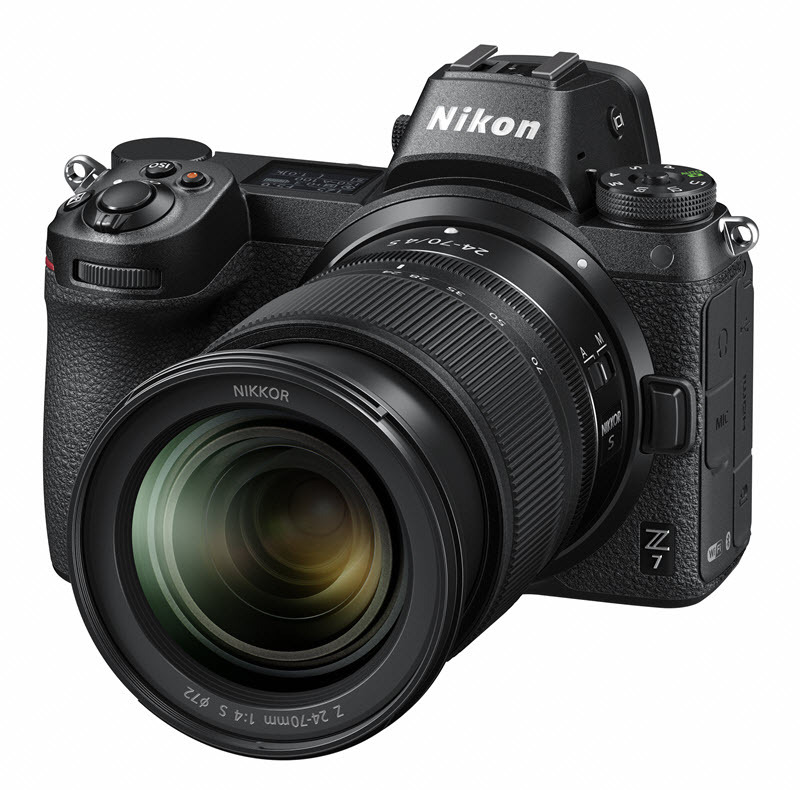 This comparison is based on the performance of the Nikon Z6 and Z7 equipped with the firmware available in April 2019. Subsequent updates may bring improvements that we will not fail to mention when the time comes. Let us know: which Nikon hybrid did you end up buying, and why? Nikon D5500 vs. D5600 vs. D7200 vs. D3400, what’s the difference? 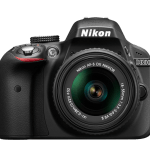 Nikon D3300 vs Nikon D3400, what’s the difference? 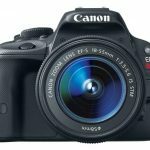 Canon EOS Rebel T5 vs Nikon D3200, which is better? Nikon D7500 vs. Nikon D500: what’s the difference?